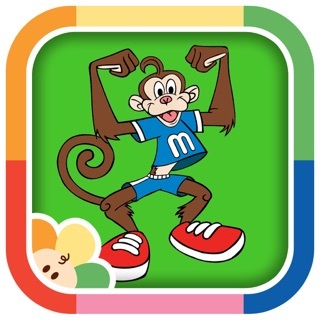 - Track your progress to 1000 books! Minor bug fix; Fixed minimum app requirements. This is definitely easier than writing all the books down, however it need to be upgraded. It is very slow to the point of not working on occasion. There was a span of about 3-4 days where I could not add any books to our list because it kept crashing. I agree with another comment below that it would be much easier if I could search for any word in the title and not just the first word. I have loaded books onto the library more than once because i can't find the book. It would be nice to edit the book information after it's been saved. I didn't know I could load a picture of the book onto the library until after I had done several books. 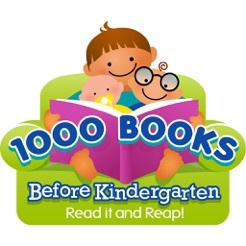 I am glad to be participating in the program and will easily reach 1000 books before my kids reach kindergarten, however I will not keep doing this after they reach 1000 books unless an update comes. It just takes too long. 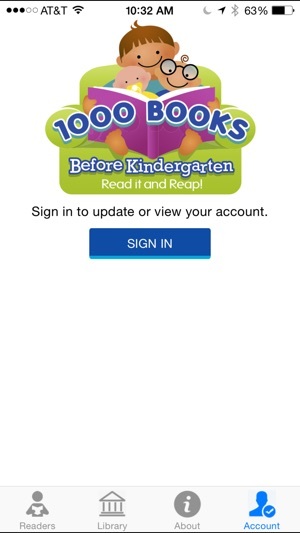 We are to 600 books and have been using this app for about 8 months now. Allowed you to differentiate from read books and unread books in your library. 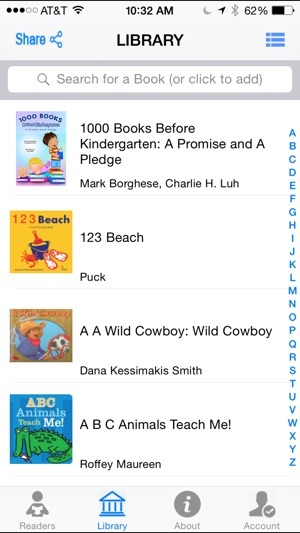 I'd like to be able to add books I'd like to read to our library list prior to reading them, and then have the ability to sort or view unread books when we go to the library or bookstore. Other than those few things I like it quite a lot. Would recommend it and am happy our library is participating in the 1000 books program. Overall I like the app enough to use it. However, i get frustrated every time I open the app bc every single step/click is so Painfully slow. I thought it might speed up the loading time if I deleted books from the library that I wasn’t going to read (pre loaded books) but I couldn’t find a way to delete them. I would like to edit the library and add photos also as the other review mentioned. 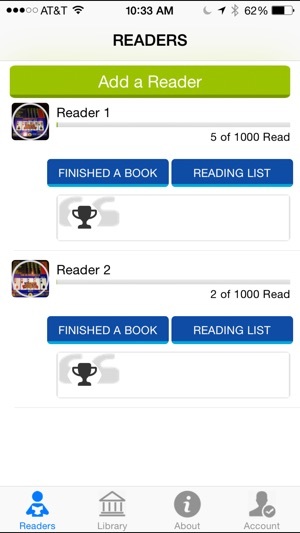 Also it would be nice if I could select “today” and just check all the 5 books we read, select both children, and it increased their book count. 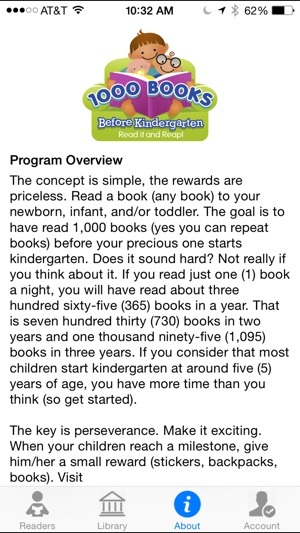 Instead I have to go through this painfully slow process 10 times just to add 5 books we read together for 2 kids. I usually have to wait till they’re asleep to update their reading list Bc they’re not patient enough to wait for me to scan a book, add it, then add it to both their reading lists.